Ever since Riley and I created her Toddler Herb Garden I’ve been trying to use the fresh herbs as much as possible. I was inspired by my round up of Garden to Table Recipes and Summer Cookout Ideas to use the abundance of basil that Riley has grown in a burger. I created this mile high Caprese Burger and it just screams Summer! Jenny this looks Ahhhh-MAZING!! Pinning!! I love caprese salad and you clearly just took it to a whole new level. Loooove this burger! I can practically taste it thanks to these gorgeous pictures. Yum! Ohhhh! I’m SO going to have to try this next time! Looks delish!!! Dying over this- I love a good homemade burger. Delish Jenny!!! Congrats at being featured over at TT&J. OMG…that is an amazing looking burger!!! I was drooling over it on google+, but didn’t have the time to stop by until now. I am so glad that I did….Yum! I’ve been craving a really good hamburger!! Pinning right away! hire someone to do it for you? Pllz answer back as I’m looking to design my owwn blog and woukd like to find out where u goot this from. sustaining the physique right after weight loss is a challenging job. as I truly want to loose weight. excellennt activity in this subject! raw fruits, veggies as well as utensils are required. web pages, there was a revolutionary change in the SEO strategies after Penguin and Panda updates. best strategies in optimizing your portal. Every weekend i used to visit this web site, as i want enjoyment, as this this web page conations in fact pleasant funny stuff too. to this matter, produced me personally consider it from a lot of various angles. Trackback from Thursday's Treasures link party 97 - Chocolate Chocolate and More! 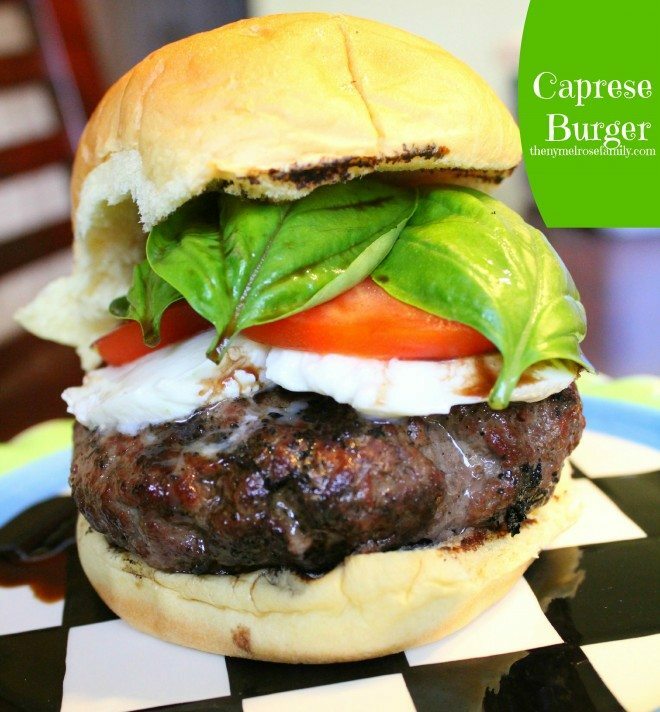 A mile high Caprese Burger bursting with fresh Summer flavors.